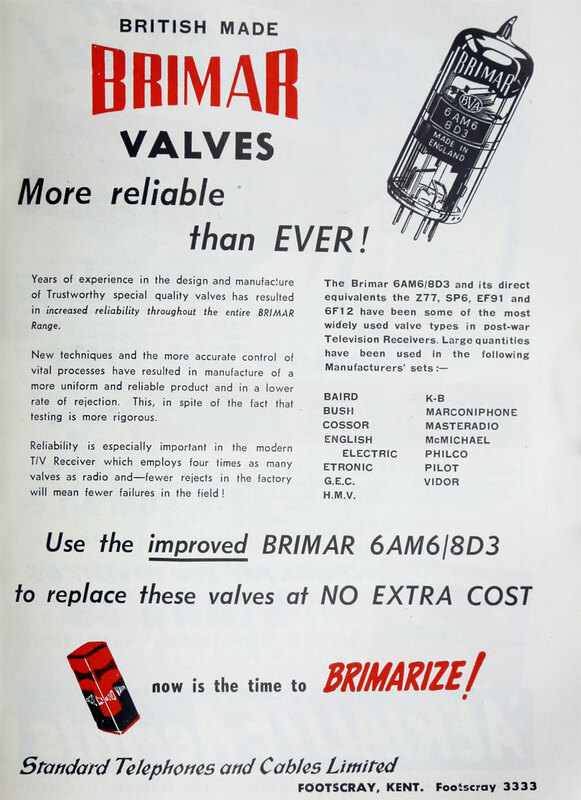 1933 Company founded to manufacture American pattern valves for the British market. 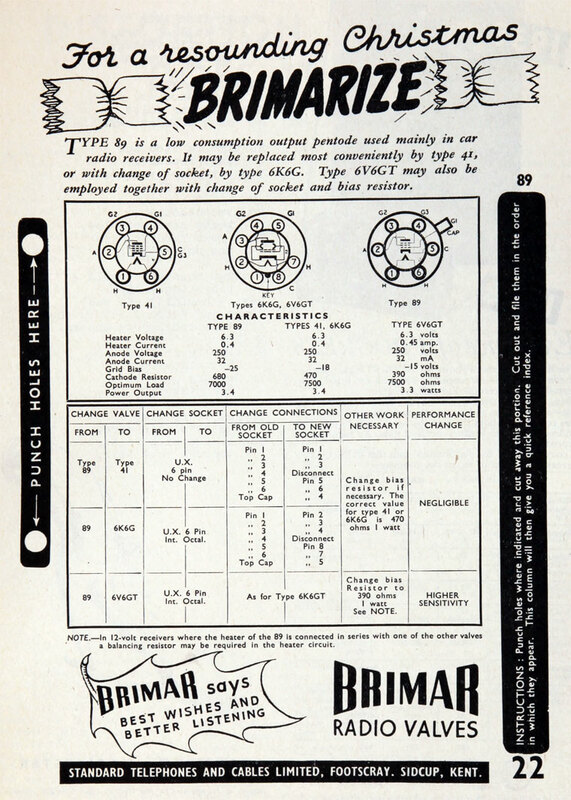 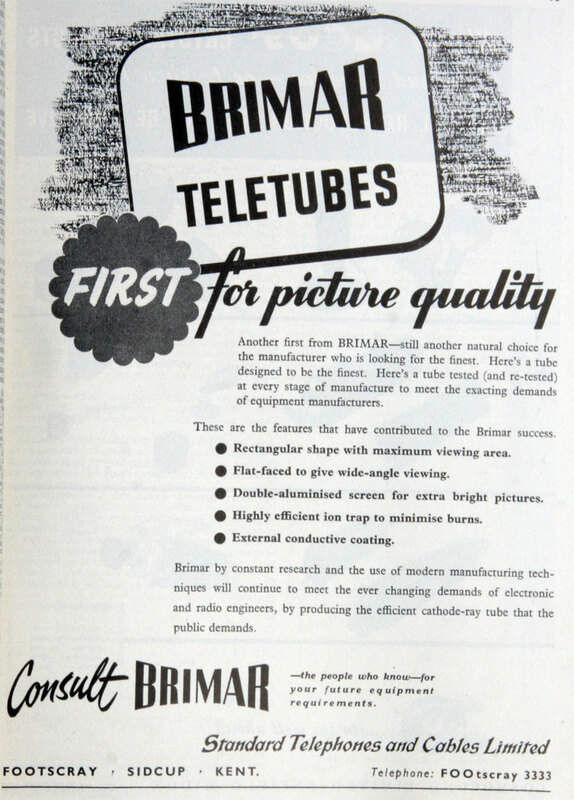 1960 Thorn Electrical Industries acquired the Brimar cathode ray tubes and valve business from STC; Brimar Electronics was formed to allow Thorn's scientists and engineers the opportunity for developing some of their ideas . 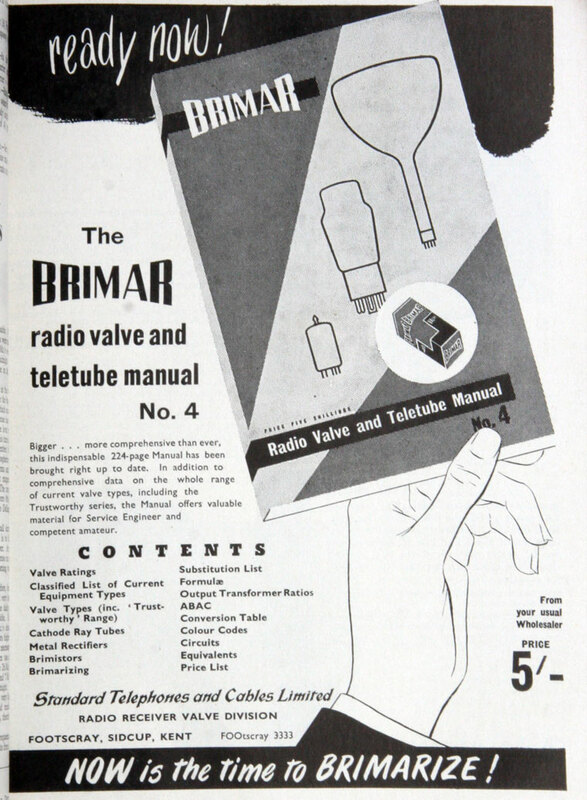 1961 Became part of the joint venture between Thorn and AEI in manufacture and sale of valves and cathode ray tubes . 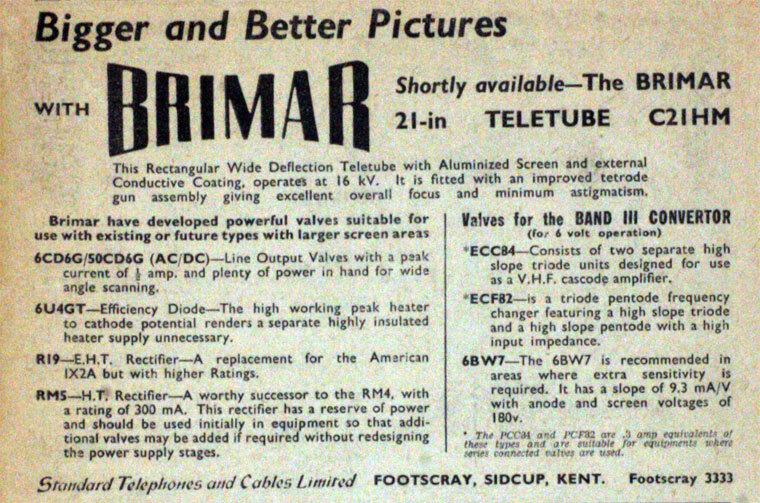 This page was last edited on 19 November 2015, at 10:58.